Susan Lanci's Tail Bow carrier is made with Ultrasuede fabric. 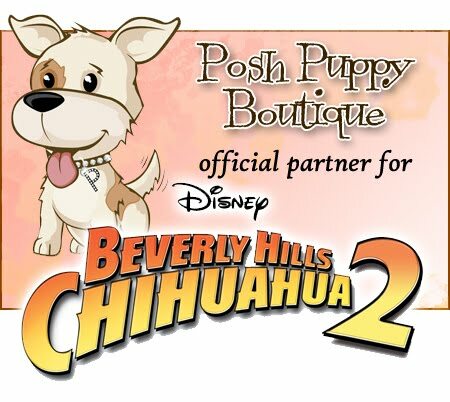 Dress your dog in designer fashion with items from any of the Posh Puppy Boutique’s many designers. One great example is Susan Lanci, who makes many different types of products. Since all of Lanci’s products are made to order in the USA, be sure to allow a two week lead time. Among her creations are carriers, such as this Tail Bow Swarovski Heart Ultra-Suede model ($650). With two 3-inch wide shoulder straps, a tether strap to keep your pet secure, it is lined with plus Minky Curly Sue fabric. It is adorned with a Swarovski (up to 8 pounds) Heart crystal. It comes infawn or black. Lanci’s Luxe Suede Cuddle Carriers ($130) are also designed to go over the shoulder and use a similar design, but with a single strap. Color options include denim, lime, camo brown, camo pink pastel and leopard. Anyone considering a Lanci carrier will also want to look at her blankets. Her Box Series blanket with Chocolate and Pink Minky Dots ($42) is a great example. This 16-inch by 16-inch blanket can fit in a carrier or purse, are very soft and have a two color design. They also wash beautifully. For stylish winter or evening wear, consider outfitting your pretty princess pooch in one of Lanci’s Bailey Coats such as this Luxe Suede Savannah Red version ($76). Sizes range from extra-small to medium. Each vest has Chenille lining with a matching bow. Matching leashes, collars and hair bows are available. Among Lanci’s leashes is her Small Daisies Collection version ($54) made with Ultrasuede. Available in 33 colors and styles, it includes both a heavy-duty nickel-silver plated snap hook and a “D” hook near the hand loop. The “D” is designed to let you clip your car keys or attach Lanci’s Travel Pouch ($40) while walking your pet. The Travel Pouch comes with a pair of 2.5-inch diameter stainless steel bowls and accented with Lanci’s signature Swarovski crystal paw print. The Tinkie's Garden Collar is one of Lanci's many designs. The Tinkie’s Garden Collars ($59) come in your choice of 33 colors and styles. They are sized for dogs ranging from teacup to extra-large. Swarovski crystals are part of their design. Consider a Big Hair Bow ($20) to complement your dog’s outfit. Made from upholstery grade Ultrasuede ® fabric, they use a one piece design barrette and coordinate with her collar and harness designs. Add Lanci’s touch to any collar with a collar slider. Our Perfect Pink Cupcake slider ($18) are designed to easily go on and off your dog’s collar. They are designed for teacup and extra small dogs. Call us at 888-837-5230 with any questions. 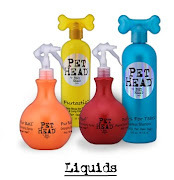 Stay updated on all the latest pet fashion action by following us on Facebook and Twitter.